The Icelandic mountain Thrihnukagigur last erupted more than 4,000 years ago. 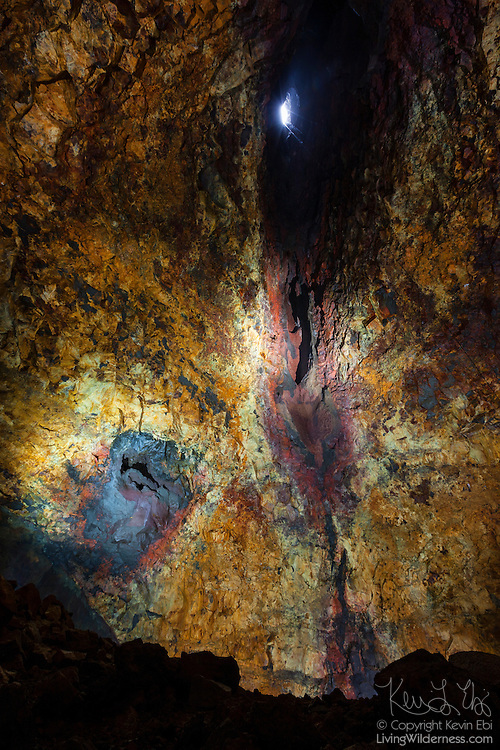 Shown here is the inside of the volcano's magma chamber, the space inside the mountain which housed molten rock from deep inside the earth. Thrihnukagigur means Three Peaks Crater. The cone leading to one of the peaks is shown near the top center.